John Lelangue will be leaving the BMC Racing Team for personal reasons - effective immediately - the BMC Racing Team announced Monday. 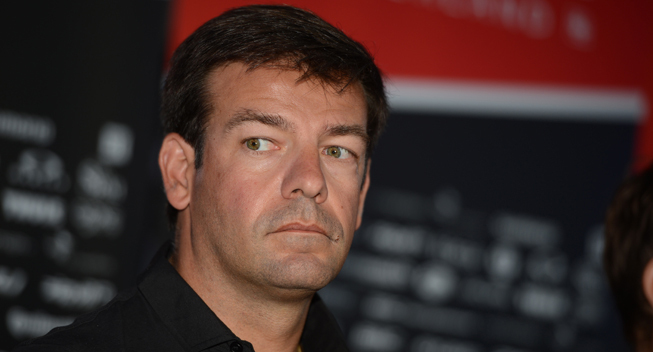 The 42-year-old Belgian has served as a Directeur Sportif of the BMC Racing Team for the past six-and-a-half years. His greatest directing success was the victory of Cadel Evans at the 2011 Tour de France. "He will be pursuing other opportunities and challenges. We thank him for his contributions to the development of our team, and wish him the best in the future." The announcement comes the morning after an unsatisfactory Tour de France for BMC where Cadel Evans was the team's elected leader. The 2011 Tour de France winner finished an anonymous 39th overall after finishing third at the Giro d'Italia which was a shock and perhaps undesired last-minute supplement to his race itinerary. Entering Evans in the Giro was said to be at the team's insistence. Fifth overall and winner of the youth classification in 2012, Tejay van Garderen also failed to live up to expectations in terms of the general classification and his second on stage 18 to L’Alpe d'Huez offered scant consolation for the team.